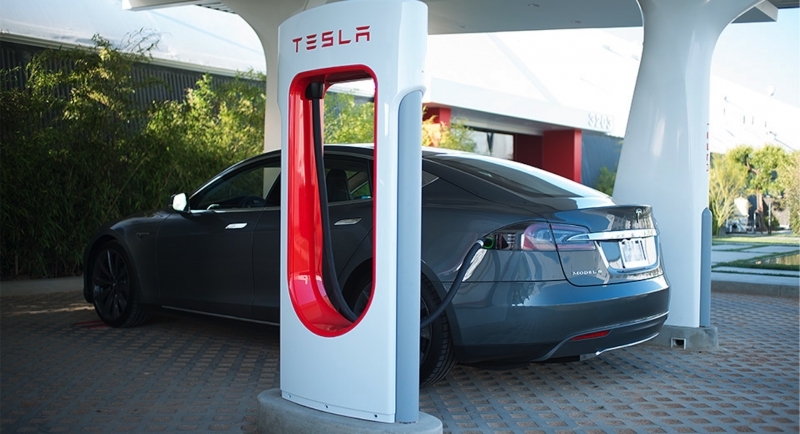 The cost of lithium-ion batteries will plummet over the next 10 years, transforming the landscape of the global transportation and electricity systems, according to Tesla Motors chief technology officer JB Straubel. Speaking at yesterday’s solar conference that was held in San Francisco, Straubel said that in the future all modes of transportation except for aviation would be powered by batteries, and that newer electricity systems shall be built with solar panels that would be combined with batteries. While the cost of lithium-ion batteries has dropped in recent years, Straubel said that the price will soon start declining at a faster rate than most people expect; referring to the current cost levels as still being stuck at the high end of a “cliff”. Straubel predicted the real transition will take place when running vehicles on batteries will cost less than running them on gasoline. Likewise, he said, when the combination of batteries and solar panels become cheap enough to provide electricity for less than the cost of fossil fuel power, solar energy shall become the preferred choice for both domestic and commercial use. “Once we get to that, there is no going back. That’s the tipping point that’s going to happen, I am quite certain, over the next 10 years,” said Straubel. Straubel is likely making his predictions based partly on Tesla’s plan to build a large lithium-ion battery factory in Nevada. The facility is scheduled to start making battery packs next year, and is designed to increase its production capacity to 50 gigawatt-hours annually by 2020, enough to run 500,000 Tesla cars. Straubel made the remarks at one of the largest conferences in the U.S. for executives in the solar industry called Intersolar North America. The event takes place annually at the Moscone Center in San Francisco, California, and attracts up to 18,000 visitors.